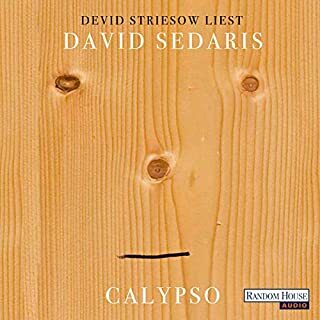 After very much not enjoying Theft by Finding, to the extent that I quit the (unlistenable) audiobook partway through and returned it for a refund, I'm happy to say that I'm a Sedaris Believer once again. And more so. If I had to say where he won me back, I'd say it was the first line of, "Now We Are Five" (the second chapter) which begins, "In late May of this year, a few weeks shy of her fiftieth birthday, my youngest sister, Tiffany, committed suicide." These stories are more honest, personal and in some cases physical, than some of Sedaris's previous material. Don't pick it up if you don't want to find out how some of his more private regions are faring through his sixth decade of life. But the message here -- galvanized by Tiffany's suicide -- shines through if anything more clearly than in his previous books: family is precious and fleeting, enjoy them while you can. 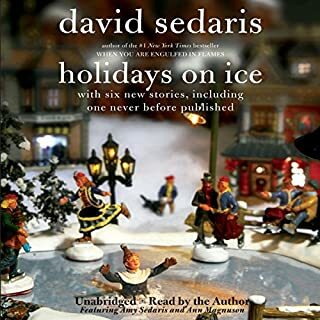 Of course, this being Sedaris, we're also treated to gentle doses of the hilarity that also comes right along with having family. I adore the way he can write about his father in a way that's both tender and also brutally, hilariously honest. 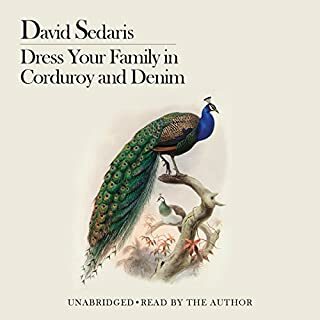 If you've read and enjoyed any of Sedaris's previous books of essays and wanted to touch base and see how all the characters you came to love there are doing now and coping with the twenty-first century, this is a book you won't want to miss. 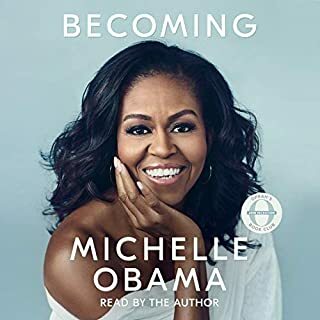 As with his other essay collections, I strongly recommend investing in the audiobook version. 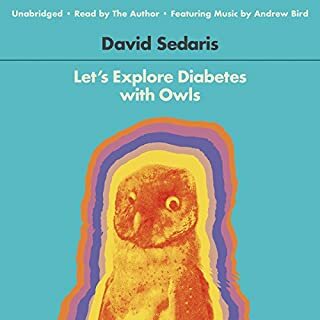 You'll get the words in the book form, but the audiobook also gives you Sedaris's unique voice and a ton of heart. Better yet, get both so you can share them with friends or (as I'm sure I'll want to do) pass them on to your own family to let them know how very loved they are. 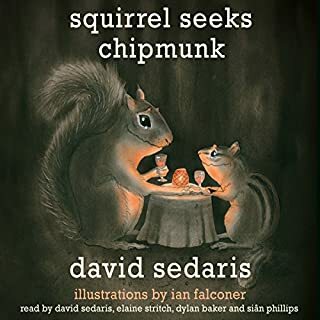 This was my first David Sedaris book. I will definitely pick up another. 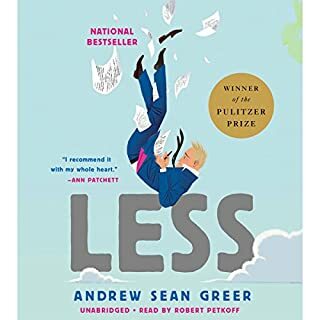 I thought it was very funny, insightful and a heartfelt review of life. 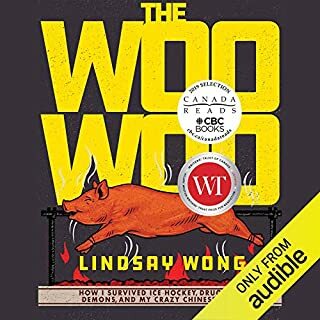 I listened to this book on audio with David Sedaris the writer providing the narration. I felt his reading was exceptional, and added significantly to the overall enjoyment of his book. 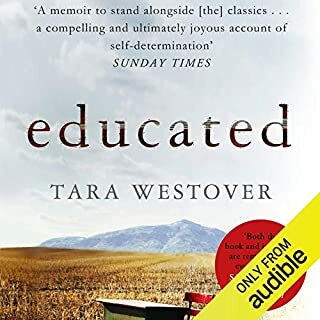 At first I thought I'd picked a wrong book for myself, turned out a great listen... Also made me think about my own, children, my own aged parents and how emotional these days are... Nice to hear all the oddness of thoughts from someone else. great stories from a strange man and his family's struggles to live a normal existence with reach other. but then , what's normal. This was my first book by Sedaris, so some of the life history may have been lost on me. But, some of his stories were so funny I found myself laughing, out loud, while out for a walk, or driving to work in the morning. 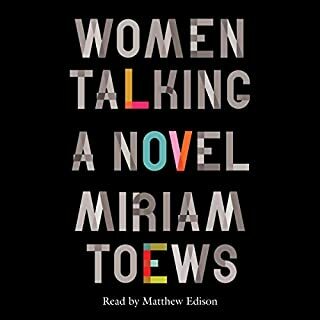 Definitely worth listening to in Sedaris' voice as well! David Sedaris at his best. This is vintage Sedaris: funny and sincere, with an edge of melancholy. I didn't want it to end. 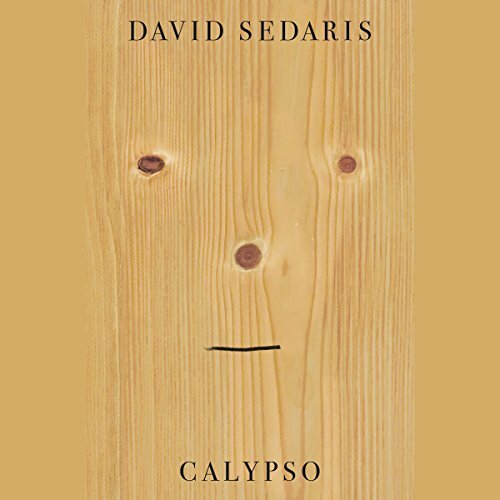 I've always enjoyed his books, but these essays are even better heard in David Sedaris' voice. I listened at the gym and nearly dropped a barbell on my foot from laughing. This is a more serious, "middle-age" book than usual for him, with somber moments mixed in with the funny. It's a fantastic addition to the David Sedaris canon. 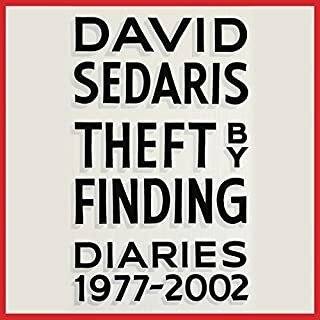 I listen to every David Sedaris book, rather than read them. You should, too. The inflection, the cadence is 50% of the pleasure of his books! I found myself both laughing AND crying at turns in this one, which can be awkward when you're listening while out walking your dog in public. Maniacally laughing while walking alone in a German neighborhood will possibly get you committed, but I did it anyway. A gem of a book, with all the biting humor we love. I love that he never spares himself in his stories, I can relate to his quirks of nature. My only complaint is that it was such a quick read, I'm in a low-grade state of depression that it's over. Anxiously waiting the next one! David Sedaris is probably my favorite performer…and he’s hazardous to my health. I’ve seen him live a few times and each time I’ve ended up almost choking with laughter. His latest book is as marvelous as anything else he has written. If you are new to David (where have you been?) you might want to take a run through ‘Holidays on Ice’ or ‘Me talk Pretty One Day’ to get you up to speed before embarking on Calypso. If you are already a fan stop dithering and start enjoying. This book is perhaps more reflective and maybe sadder than any of his other work. His dark eye turns to some pretty intense and moving topics. He deals with aging, suicide and addiction in his family ways which I found moving and funny…that’s a hard trick to pull off. About a quarter of this excellent book is performed in front of a live audience. I think I might have been at one of those recordings. When he discusses about what angry people shout at other drivers in other countries I think you can hear me choking in row M. David is a wonderful mix of Dickens and Carlin. He will make you think, laugh and maybe cry sometimes in the same paragraph. 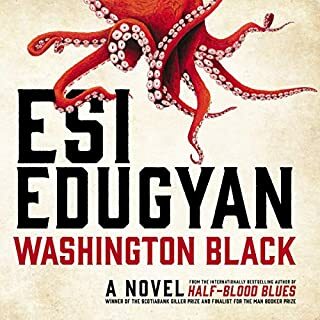 This book may be the best use of an Audible credit this year….so what are you waiting for? This is one of his funniest books. I listened to most of this while doing housework, with my headphones on. My husband finally asked what I was listening to because I was laughing so hard! You've carried me through Christmas withouty family, laughing with your unabridged honesty. You've carried me through a car during a miscarriage on an 8 hour drive with your fury at the coveted bulkhead seats. And now, you've cracked open my soul. Thank you for being the vulnerable, honest human we so seldom find in a world of performance. Thank you for your vulnerability. Thank you for your honesty. Thank you for your unforgiving, uninhibited, distant friendship. Thank you. 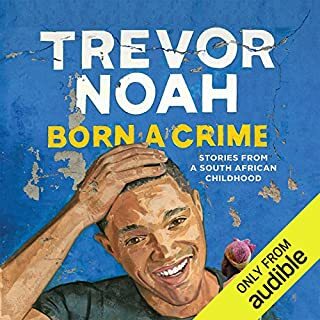 As usual a wonderful collection of personal stories that they had me laughing out loud on the subway. Over the years you really get a sense you know that family. 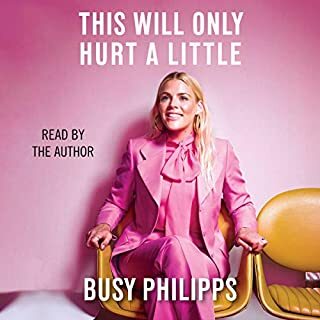 I pre-ordered this in the hope that it would be as good as any of the previous David Sedaris books (or Sedaris in general, his sister Amy's cynical and whimsical book on hosting guests is also a gem) and I was not disappointed. I listened in one day, in several settings in which my headphones were a little intrusive, but it was worth any insult I may have inadvertently leveled. 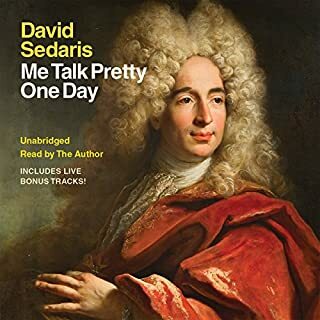 I will add it to my list of favorite memoirs, and David Sedaris remains on my list of most-envied and most-admired memoirists. I envy his ease of composition and hope one day to produce as high quality work, even if I never reach the level of finished work he boasts. Always impressive, always amusing, always a treat. I have been anticipating this in such a way as to check its availability repeatedly, and my only disappointment is that it is so brief. More mournful and full of an expectable amount of grief given the age and experience of the author, it is in some ways more serious than any of his previous works, but never truly heavy. It is identifiable. I have never lost a sister in the way he describes, and my mother is still alive, but I can identify. I have at times been the sister he describes, though I am fortunate enough to have found treatment that works for me. My mother and father both live, but I dread the days that I will survive them. It is comfort in advance to see that I will survive, that others have and do, that even a sense of humor and the more human memories can survive as well. 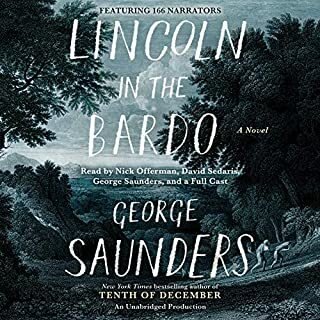 This is as much a memorial as the work produced immediately following his mother's death, and while it lacks some of the levity of Sedaris' early work, it is in no way inferior or serious. I cannot say that I might read it again: I will read it repeatedly, put it on to fall asleep when I am so familiar with it that I can quote large passages, will listen to it in lieu of music in the following months, will repeat stories that I find particularly delightful, insightful, or identifiable. Thank you David. Starting off to be exactly what David Sedaris is known for, a beautiful cadence and stories in his fashion. I know one day we will no longer have David and new stories and I cherish each new one. 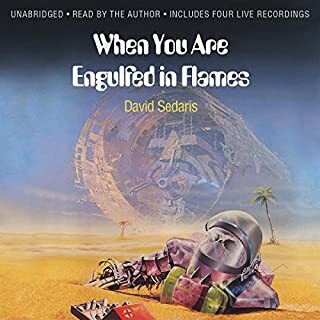 David Sedaris is a very good storyteller, but this book is certainly not a collection of his best. He has mastered the art of simply talking about life and realizing that everyone, everywhere, has an interesting story. That said, this collection was simply no more than OK. I used to LOVE David Sedaris. I always thought his observations were funny, if a tad catty, but the last few have just been vicious. Mean spirited. He seems completely self absorbed in this one, and now that he is successful, looking down with distaste at the rest of us. Flying in our casual clothes instead of our Sunday best. But that's just me.